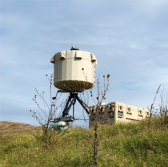 SRC will sustain and upgrade AN/TPQ-49 radar systems under a potential five-year, $93M contract with U.S. Marine Corps. The company said Wednesday the indefinite-delivery/indefinite-quantity contract covers production of new AN/TPQ-49A radar systems, program management, live-fire testing, technical manual production, sustainment spares, field service representative support, equipment training and kit installation. AN/TPQ-49 is a counterfire radar platform that works to help warfighters detect and locate rockets, artillery and other weapons systems through an electronic nonrotating antenna. SRC plans to hire over 300 employees in 2019 across systems engineering, field application, digital engineering, program management, test and integration and systems engineering areas in support of the contract.